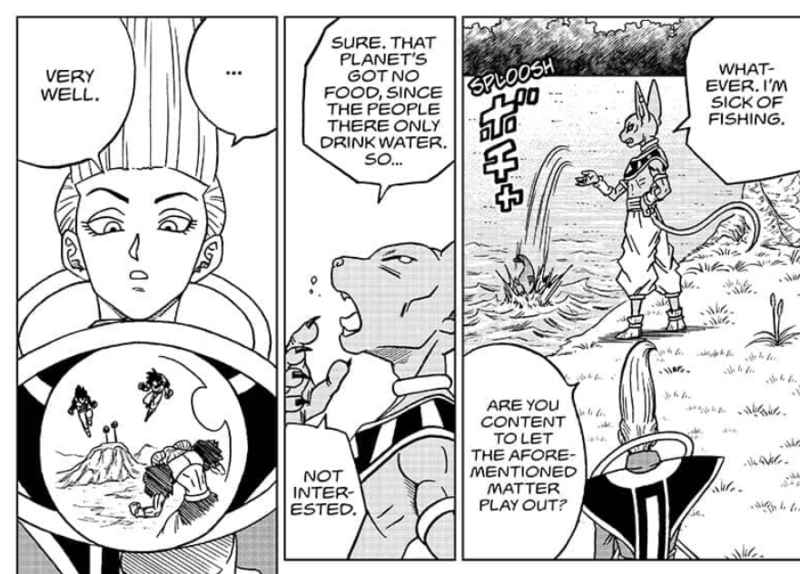 Apparently, Beerus is having a fishing contest with the oracle fish… The Oracle Fish is fishing. It seems like the oracle fish has predicted something again like the Super Saiyan God thing. Whis is asking Beerus if it’s okay to do nothing about it to which Beerus answers, “Sure. That planet’s got no food since the people there only drink water. So… not interested.” Whis doesn’t tell Beerus about Goku and Vegeta fighting Moro. 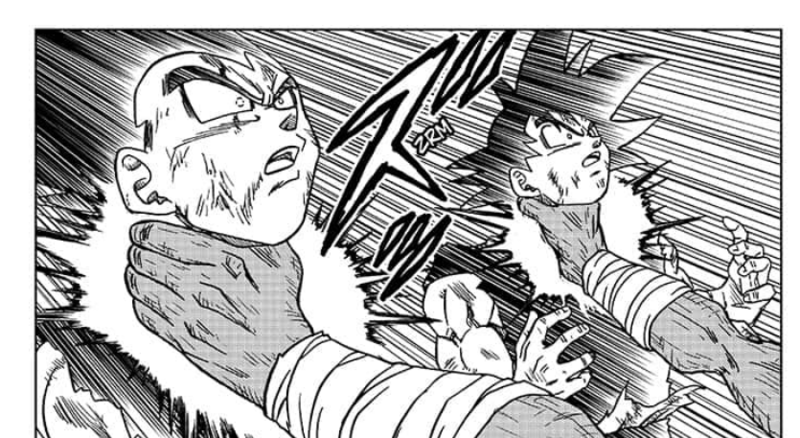 In Dragon Ball Super Chapter 46 English, we see Goku trying to escape using Instant Transmission but it seems like he doesn’t even have the minimum ki required to use the technique. Both of them needs to get out of there and prepare a plan with Merus but it seems like they can’t escape. Moro doesn’t let this chance go and attacks both of them with a huge blast. The explosion is so huge that the whole village was destroyed. 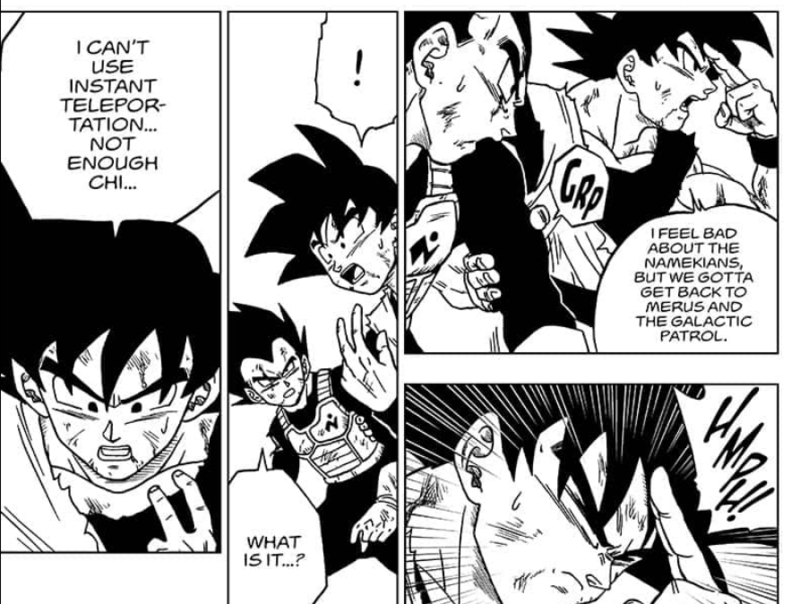 Vegeta and Goku are still alive and kicking in Dragon Ball Super Chapter 46 English but things are not looking good. They are lying down inside the crater formed by the blast. Moro is surprised that such mere mortals didn’t exist back in his day. The only one who stood in his way was the Grand Supreme Kai. Moro then attacks Goku and then also pulls Vegeta towards him. Then he grabs both of their necks and starts absorbing their ki. The Real Reason Why The Saiyans Couldn’t Become Super Saiyans!